When speaking ill of the gods of the modern era, be they footballers, artists or criminals, the devotees of said deities commonly interpret this criticism as mere jealousy. Even when demeaning outright villainous parasites such as sports agents, stock brokers or – worst of all – politicians, a commonly heard retort that emanates from the camp of their ardent orbiters consists of pointing out that their beloved bloodsucker of choice ‘will always have more money than you do’; as if being rich is closer to virtue than vice. Even rich people themselves do not seem to think so, as is evident from their desperate attempts in the past to prove that it is well possible for a camel to go through the eye of a needle. Sadly, the difficulty of properly defining what is virtuous in a secular, materialist society has led many to mistakenly assume that value (in the economic sense) and virtue are connected far beyond the market stand. This also reflects in modern music criticism (or PR chatter posturing as such), as even in the internet era, all too many outlets still talk of music as a product rather than the art it should aspire to be. What made occasional music critic Piero Scaruffi’s notorious takedown of the Beatles interesting was not necessarily his dissection of the band itself, but his observation that rock critics still have no proper standard by which to rate the legacy of a band other than record sales, and the hype and reputation derived therefrom. While this may somewhat simplify the current situation, the notion of marketing exercising a strong influence over contemporary music criticism would explain the latter’s tendencies towards recentism, trends and hyperbole; rather than attempting to describe the emotional impact a piece of music may have on its listeners, many music reviews merely aim to contribute toward the positive buzz that conditions the reader to obtain the album. Now more than ever, it should be obvious that there is no tangible correlation between the popularity of a piece of contemporary music and its quality. A good case study for this claim is the Chinese post-rock group Zhaoze. Their 2011 magnum opus 1911 summoned vivid images of the heyday of Imperial China, swaying sentimentally between historical melancholy, perpetual contemplation and evanescent beauty. While the hour-long journey – divided into four tracks – featured no vocals whatsoever, the music was expressive to an uncanny degree, breaking cultural, geographical and emotional barriers, allowing attentive listeners from all over the globe to immerse themselves into the colourful world of Zhaoze without restraint. Had 1911‘s popularity been proportionate to its quality, without a shred of doubt its impact would have been far greater than the modest-at-best cult status it enjoys today. 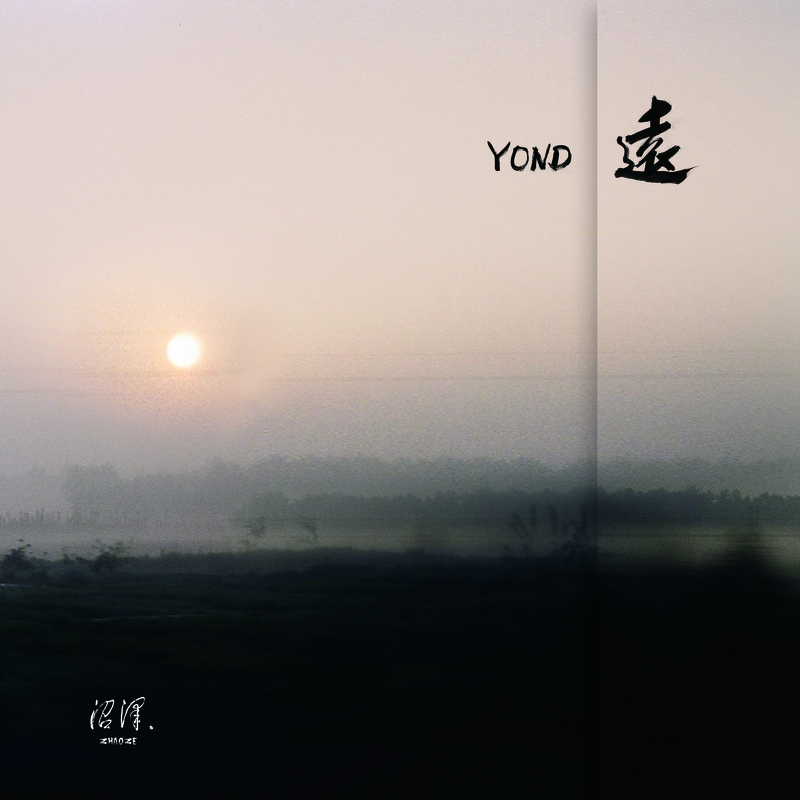 Alas, this world is not just, and so it happened that Zhaoze‘s 2013 full-length Yond emerged from the usual obscurity, unbeknownst to all but the band’s domestic audience and a select few who were lucky enough to have a kind soul bring the music to their attention at one point. On an artistic level, the biggest challenge for Zhaoze was to rise up to the bar set by its own 1911 album. Considering that 1911 was itself a huge step forward from its predecessor Cang Lang Xing (2010), it was up to Zhaoze to prove that 1911 was not a lucky swing, but a strong indication that the band had become increasingly comfortable exploring the outcorners of its own niche of post-rock soaked in traditional Chinese music. From the outset it is clear that Yond is, in a lot of ways, more light-hearted than 1911. Rather than the intense drama of that album, Yond possesses a more gentle, affirmative spirit, facing upward, looking into the future rather than being entrenched in tragedies past. The first track “Leave” sees the iconic guqin instrument once more assume the role for which other bands would cast the vocals. Arising from placid post-rock soundscapes, the guqin dictates the melody, thus spearheading the composition. However, this does not mean that Zhaoze‘s song-writing falls into rock’s most common pitfall of relegating the other instruments to mere chord machines wailing irrelevantly in the background; it is merely the guqin that takes the lead and establishes the melody, after which other instruments chime in and offer their own variations of the main theme, developing each piece as it goes on. While this approach is not always rewarded with a dramatic climax tantamount to 1911‘s finest moments, it remains abundantly clear that Zhaoze does not inflate songs’ lengths for the sake of it; the musicians need every second they take to properly build up and establish the atmosphere their music aims to convey. “The Metamorphosis” is a prime example of how Zhaoze can offer lengthy songs without being in danger of touching the verge of boredom. Clocking in at 15 minutes, this aural epistle is the album’s longest offering, but at no point does it feel that way. In contrast with most of the other songs of this album and indeed Zhaoze‘s oeuvre at large, the guqin is not at the centre of the stage on this composition and is conspicuous by its absence. Instead, the guitar, bass, drums and keyboard jointly push the central theme forward in a playful, almost jazz-like fashion. While this main theme is never fully abandoned, each instrument approaches it with gradually increasing boldness, patiently taking their diversions one step further with each cycle, thus helping the track accrue a quasi improvisational vibe (hence the jazz comparison). The construction of this track occurs in such a continuous, streamlined fashion that it blossoms almost unbeknownst to the listener. Still, the gap between the respective first and last sections of the composition is quite striking, with each instrument showcasing its full volume and power during the hectic final minutes; “The Metamorphosis” is an appropiate title indeed. After the sonic storm has settled, the keyboard takes us back to this track’s inaugural phase, shedding new light on those first few minutes and delivering the awareness that we have now fully grasped this lengthy composition; now we know that every second of the track is truly relevant. Had it been cut off at the 7-minute mark, “The Metamorphosis” would have been half the song it is now, both literally and figuratively. Satisfying a composition though “The Metamorphosis” may be, the centrepiece of Yond is without question “The World is a Blue Stone”. Paradoxically, this 12-minute epos sounds rather like it would have belonged on 1911, warping us back to said album through its vivid climatic moments, tragic undertones and guqin player Hoyliang at his very best. Though the guitar establishes the initial theme, the guqin quickly claims the lead role, pondering over the guitar melody, engaging in an instrumental monologue. It is not until every instrument has established its presence, however, that the musical structure stands and begins to reach for the sky. With the guqin now confined within the tight mould provided by the drums and the bass, it rapidly mounts the tension jointly with the guitar, adding layer upon layer to this increasingly complex musical construct. The composition explodes as the guqin, instead of being plucked by hand, is now hit with a cello bow, creating a deep, choral tone over which the guitar soars frantically. Soon after, the tension is temporarily relieved, only for the music to plunge right back into its melancholic mid-section, repeating the tension-building process and finishing off with a finale that reaches even higher than the composition’s initial summum. Yond‘s finest moments easily rank among the best material that Zhaoze has brought forth so far. “The World is a Blue Stone” and “The Metamorphosis”, while obviously taking plenty of inspiration from the band’s legacy, take the Zhaoze sound into new directions, confirming that this formula is still fresh enough to move into new directions. On a more critical note, Yond does not possess the flawless coherency of 1911, as songs such as “Who Have Lost Dreams” and “Wishful Ship” do not live up to the more splendourous moments of this album as described before. Due to the absence of a clearly defined concept behind this album, it is at times obscure which emotions the less captivating songs attempt to conjure, making them turn out rather static, sometimes even a tad aimless. Even though the album just falls short of being the band’s high-water mark, Yond lands its creators on more than stable ground from which to launch new, even more ambitious albums. All in all, Yond‘s emotional affluence, while not as dedicated towards a consistent experience as the previous album, is sufficiently versatile to not only keep the listener’s attention throughout all 59 minutes, but also deepen his understanding of the music with each subsequent session. Such a listening experience is the hallmark of an emotionally mature work; the reason so much post-black metal is unappealing on the long run is that it tries way too hard to get the listener to empathise through a mundane, almost superficial flavour of sadness that everyone has at one point experienced, but which not many would care to wail on about across half a dozen songs. Zhaoze succeeds because it is in full control of the dosage of each sentiment. When the music is as its harshest, it rivals the intensity invoked by more black metal-influenced projects, but these moments come out stronger due to the clear contrast provided by the meticulous build-up of each composition. In covering such a wide array of sensations, Zhaoze renders obsolete projects that showcase a more unipolar, lethargical set of emotions. In short, it is profound intellectual contemplation set to music, as opposed to cursory existential pondering. Zhaoze‘s fame outside its home country is still limited to a select crowd of fortunate passers-by, a group to which the present review cordially invites you. If a relation between quality and popularity exists even on an indicative level, you should hear a lot more about Zhaoze in coming years. Given the quality of the discography they have built so far, and the potential that radiates from their past two efforts in particular, we can only hope that the band’s future efforts will indeed reach more and more ears, as those who delve into the lush world of Zhaoze can only emerge wealthier; in a spiritual sense rather than a materialistic one, fortunately. After all, camels still do not go through the eye of a needle. Interestingly enough, band member Hoyliang, who normally plays the guqin, recorded most of the guitar for “The Metamorphosis” according to the liner notes. This can be heard back in the way he plucks his guitar incidentally, leaving behind insular pieces of melody, akin to the way he plays the guqin. Very nice. Its like a Chinese equivalent of Mono (Japan).